Summary: What is fascism and how does it fit into Rome's political paradigm? Is the Pope a King? Fascism is a system of government that gives the state full control over the population. 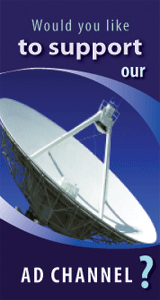 The government works in partnership with Big Industry. Under fascism, wealth is redistributed and controlled by the government. Ownership of land is only on paper. In reality everything is actually owned by the government, and the citizens are just working the land. Free men—the ruling men—own all the land and control all the workers. Today, these free men are the industry leaders and big businesses. Fascism appeals to the Roman Catholic Church because it is the perfect vehicle through which to gain global control. A depiction of Thomas Aquinas in a Belgian cathedral. The possession of all things in common is the natural law…‘the possession of all things in common and universal freedom’ are said to be of the natural law because, to wit, the distinction of possessions and slavery were not brought in by nature, but devised by human reason for the benefit of human life. So, as Rome sees it, property is for common good. You may own it, but it is for common good. Whatever you have that is more than you need will be given to others. Does this mean in practical terms that if you own anything, you will be taxed to death so that the state may collect revenues to support those who have not? We are living in a completely new reality. So we want to know, what is this reality? What is different now after the [world economic] crisis from before the crisis? Because our assumption is that this crisis was a structural one. Many things have changed and we should not go back to the old recipes. We [the World Economic Forum] want to make a strong contribution to the G20 process. We are working together with the French Presidency. The G20 has become a major element of the global governments. If the combination of big business and big government makes fascism, then fascism is indeed happening today. Just like the feudal lords in the Middle Ages, today's big industry is working with the government to suppress the common workers and control their movements. People believe they are free, but they are not. Today's serfs—the working class—have no option but to make the rich richer. One key aspect of fascism—the redistribution of wealth—is particularly popular with the Roman Catholic Church, and is being practiced today with alarming frequency. 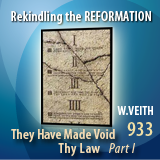 This article is adapted from They Have Made Void Thy Law Part 1 in Professor Walter Veith's Rekindling the Reformation series. i. Joan Veon, Prince Charles, The Sustainable Prince (Oklahoma City: Hearthstone Publishing, 1997). iii. David Freedlander, "Soon To-Be Ex-Congressman John Hall Warns Against Creeping Fascism," New York Observer (December 28, 2010). iv. Pierre van Paassen, Days of our Years (New York: Hillman-Curl, 1939): 465.
v. Henry William Spiegel, The Growth of Economic Thought, Revised (Durham: Duke University Press, 1983): 29.
vi. Thomas Aquinas, Summa Theologiae articles 2, 5, and 7.
vii. Pius XI, Quadragesimo Anno (1931): 58.
viii. 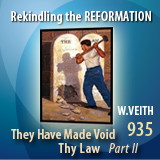 Second Vatican Council, Gaudium et Spes (1965): 75.
ix. World Economic Forum, World Economic Forum Annual Meeting 2011 video.